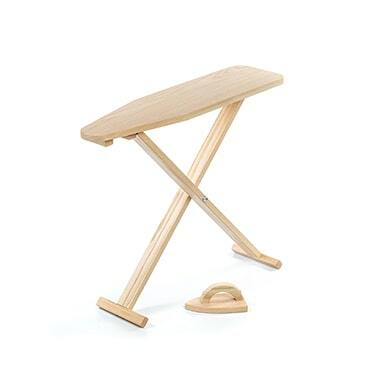 Our Eli & Mattie Toy Ironing Board is OUT OF STOCK, but we have ordered more! You are still able to purchase it now and we will ship it to you as soon as it arrives. Questions? Please call 1-800-438-5346 or email us at info@Lehmans.com. Handcrafted for Endless Play and Pretend! 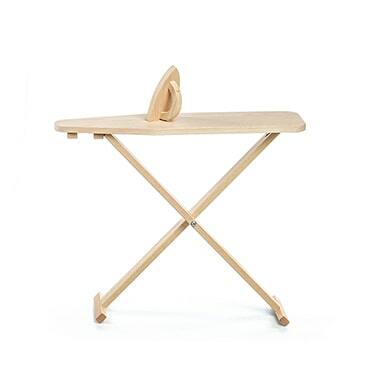 Bring some playtime fun to Laundry Day! As Mom and Dad are ironing, children can pretend to do the same with this adorable toy ironing board. 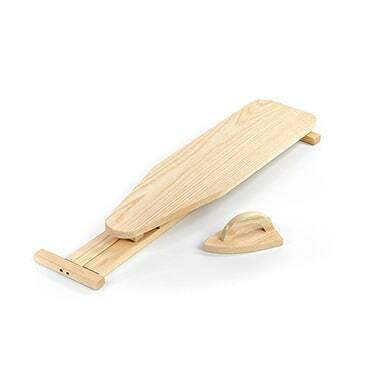 Made of smooth solid oak, the board easily unfolds and comes with a wooden toy iron for authentic play. *Note: This item is made by hand, so dimensions may slightly vary; dolls not included.